Whether you’re on the hunt for a new side hustle, or want some extra money, it’s a good idea to have a list of ways you can start from home without any investment. When I first started to make money online, I didn’t want to put any money out. I quickly found that there were tons of ways to earn money online without investing any of your own money. We are fortunate that there are plenty of ways to make money from the comfort of your own home. Many of which weren’t a possibility 10 years ago. When I started looking for ways to earn money online, I wasn’t sure if it was possible to earn anything. So I didn’t want to risk putting out any money. If you too are beginning to think about earning money online, then these are some great ways to get your feet wet. Most of these won’t give you a lot of money but it’s a great start to earning money online. Best of all they offer a $5 incentive to get started! The smart way involves signing up for these programs and using them before you begin your shopping experience. Places like Ebates, and Swagbucks offer points for using the portal. As you gather points you can cash them in for gift cards at some of your favourite online shopping places. I just cashed some point in for some iTunes gift cards. Best of all they offer incentives to get started. Ebates can offer up to $10 for getting started with them using this link. or if you are in Canada you can use this link here. Click here to start saving with Swagbucks and get a $5 sign up bonus. Being a website tester involves going on someones site and giving feedback as to whether the site makes sense if it’s navigable and user friendly. There are several companies out there that will pay you to test websites for their functionality. They usually pay about $10 a test. When you love something, you naturally tell people about it. Why not get something in return. For the first ten years of owning a Mac, I told everyone about how great they were and at least a dozen bought them based on my recommendation. Doing this is typically referred to as affiliate marketing. It’s as simple as when you tell a friend about something you love, they use your link or code to sign up and you get rewarded. Had I known how to set it up properly, I could have made some great money. I can’t go back, but I did learn about affiliate marketing and it’s an easy way to make money from products you already know and love. If you want to learn more about it a good course to take is Making Sense of Affiliate Marketing. It’s helped me turn this site into a legitimate income earning blog. You can check out Michelle’s course on Affiliate Marketing here. Another way to earn products (not money) would be signing up with BzzzAgents and getting products to test out and write reviews for. It’s a pretty easy gig. I’ve been given razors, food products and kids toys to test out. All of which you get to keep afterwards. You can check out BzzAgents here. There are a ton of jobs available to you if you have freelancing skills. If you can design websites, program code or have another skill that is in demand there are tons of opportunities waiting for you. There are people who love to write and people who love to make their work shine. If you love words this might be a great way to get started. You can easily start by getting on fiverr.com and start your editing empire. Or you can do what Jeremy did, he asked. He saw how terrible my grammar was and offered to fix it. If you have a skill contact people and see what happens, you never know what will turn into a way to make more money. There is a good demand for people to have their spoken word transcribed or performing captioning services for their YouTube videos. Places like Rev are hiring people all the time and it’s an on-demand workload. This one blew me away. Your pet could make you money by becoming a pseudo celebrity on Instagram. We all know how much we like to look at pet pics. Your pet could be the next pet to get a brand deal. Crazy right?! For more on how to make money off your dog on instagram you can check out this post about how to turn your pet into a celebrity check out this post. People always need someone to manage their social media accounts. Most business owners are too busy to do it themselves, or they just don’t have the time to get started. Depending on what types of services you offer you can make $30 an hour or more. I’ve done this in the past. It’s super easy to get started and you are helping business do something they know they should do, but don’t have time, manpower or skill set to get going with it. This isn’t a quick way to make money on line but it does have the ability to be the most profitable. Many people make their full time living online as bloggers and influencers. Best of all they do it from the comfort of their own home. As far as earning money goes, a blog is a great way to get your feet wet and can offer huge payouts down the road. Don’t expect to be earning money in your first week, but over time you can see huge benefits from it. There are people that started blogging and now make full time careers from it. The best thing with blogging is that it gets you into so many new areas. From building websites and social media, to graphic design and content creation, building a blog is a great way to build new skills while at the same time being able to make money. Here’s the downside, this one does cost a small amount of money. If you open an account with Bluehost for $3.95 a month you can get set up blogging very quickly. Click here for step by step instructions to start a blog. There are tons of businesses, professionals, and creative people who need a website to showcase their services. If you love building websites you can turn that into profit and help out local (or globally, I mean… it is the internet) businesses get online and have a voice. I’ve built several websites for companies and it’s a lot of fun. Creating a course on something you know how to do can be a good money maker too. If you know how to do something well, create some material that shows others how to do it. There are multiple ways to host your course without having a website. You can use Teachable or Udemy to host your course and start sharing what you know with others. If you have a house and a spare room you can turn that into income as well. You can sign up for an account and start listing the items you have that you don’t use that often (*cough*electric guitar *cough*). Or rent out things you have, but you don’t want to part with yet (*cough*drone *cough*). Check out Fat Lama here and also get $25 off your first rental. Have more than a room to rent out. Why not rent out your whole house! We’ve used Home Away and it is a great system for both the renter and the owner. 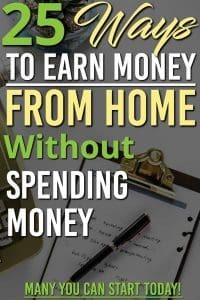 Best of all you can earn some really good extra money with your house. Check out VacationRentals.com and list you home for free or sign up with Home Away. Want more information on Vacation Rentals? Check out this book. If you have space in your home you can start renting out an area for people to store things. I know of a few people that rent a place for their boats, or other seasonal items that they don’t want to keep in their house because of space.The storage industry is a multi-billion dollar space. Maybe it’s time you get in on it? Check out this agreement for how to set up your storage rental. One of the simplest ways to make extra money is to sell your unused items. We all have them kicking around the house. It used to be a pain, but now it takes a few clicks on your smart phone and you can have your items listed on multiple sites. Sell your unused items and get some cash for the effort, otherwise they are just taking up space. If you have unused games (I’m looking at you Sonic on PS1), but don’t have anywhere to sell them, you can check out Cash for Gamers, they buy and sell old games. Check them out and see what your games are worth. You know that gift card you got to Pottery Barn from Aunt Edna last year? The one that made you smile sheepishly and said, “Thanks Auntie…”, fully knowing there isn’t a Pottery Barn within 500 miles from you? Well good news! You can sell that gift card and get cash. Check out Gift Card Granny and start selling your unused or unusable gift cards. Believe it or not you can sell your hair for wigs and other reasons. There’s a demand for hair, if you want to shed your locks this may be another interesting way to make some extra money. There are two main sites: BuyandSellHair.com and OnlineHairAffair.com for more on what’s involved with selling your hair you can check out this post here. There are always new and interesting ways to Earn Money from Home Without Any Investment. While some can offer bigger rewards down the line, others you can start earning right away. If you want to know what I would suggest it’s this. Start with Swagbucks, you will get a free $5 bonus just for starting. That way you can see what it’s like to earn a little extra money online. From there give BzzAgents a try and see if you like writing reviews for products. If you find you love writing like I did. Then start up a blog and see what you can do. 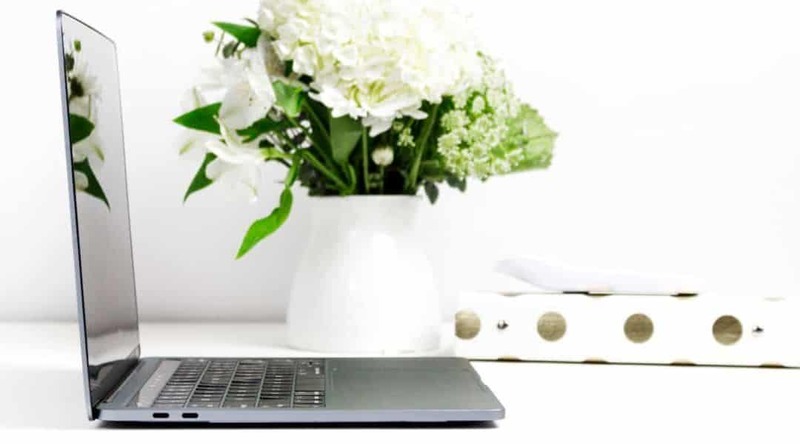 The blog offers the biggest rewards by far, if you want to learn more about starting a blog you can check out this post here.